Client received email notification once a new invoice available. 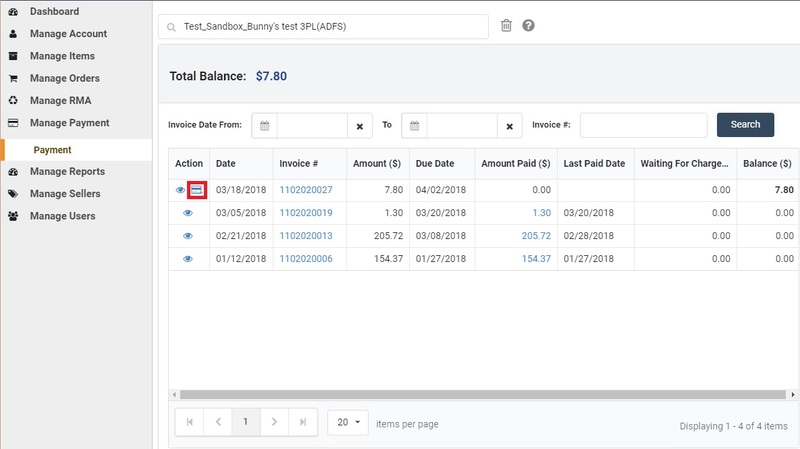 Client can find payment history and new invoice at Manage Payment > Payment. User can click the credit card icon, and make a payment toward an invoice. Client can select a payment option (refer to 2a. 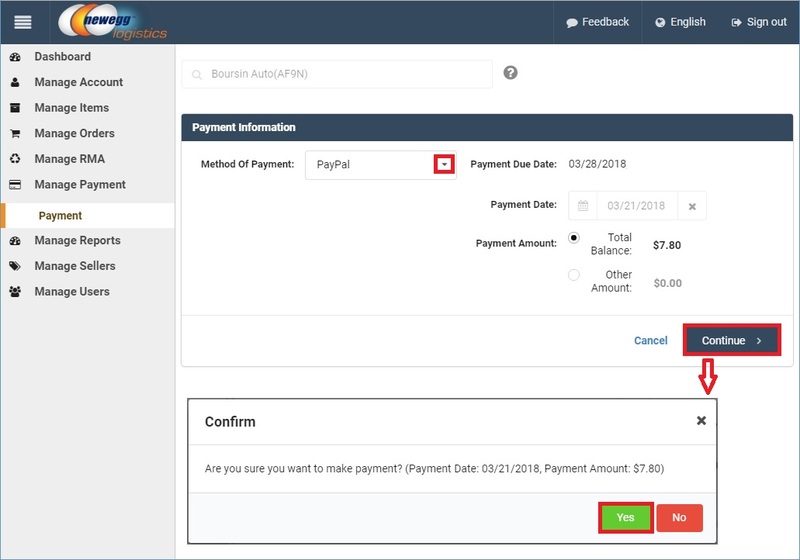 payment information setup), payment date, and payment amount. Then, click Continue button to make a payment. A pop up window will ask user to confirm the payment details. Once user click Yes button, Newegg charges it from the payment account.